Soft and short-sleeved dress from KAFFE. The dress has loose fit, a round neckline and has a length just below knee. 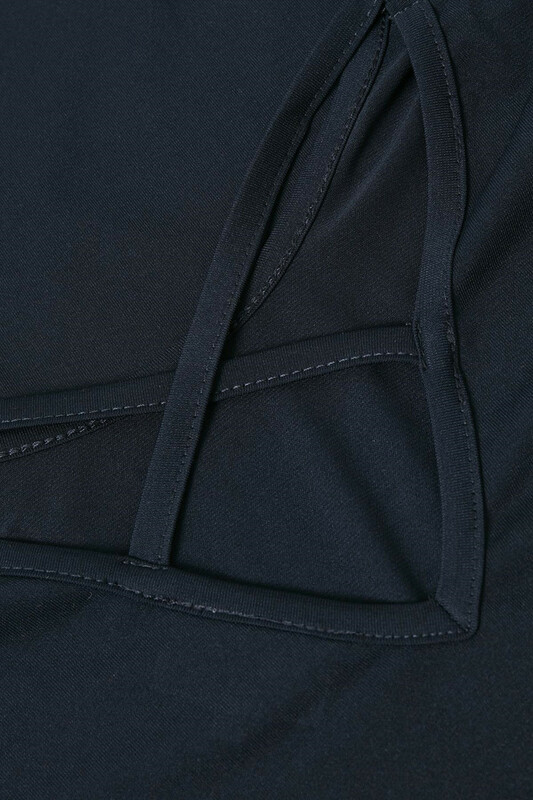 The quality is very pleasant and has a good stretchy quality and very comfortable to wear, especially with its loose fit. 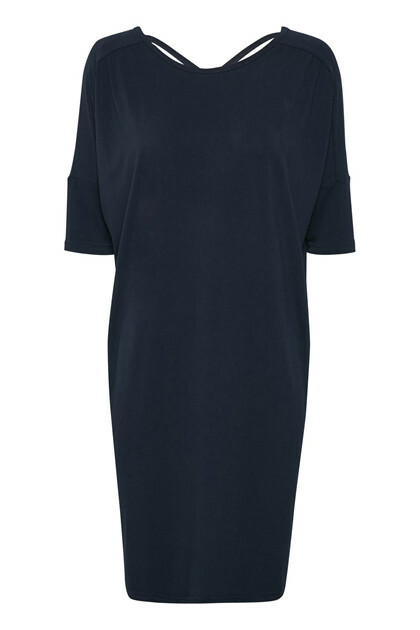 The dress has a simple look, with an elegant and feminine cut in the neck. 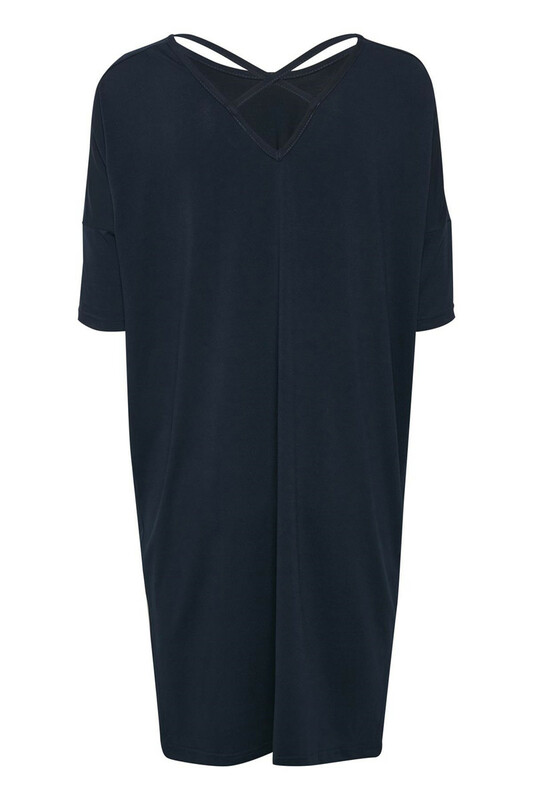 The dress can be styled with both a cardigan, a kimono or denim jacket.